Directed by Rithy Panh. Opens Friday. Cambodian director Rithy Panh was a thirteen-year-old student in 1975 when the Khmer Rouge marched into his hometown of Phnom Penh and turned the country upside down. In the years that followed he lost most of his family to starvation in brutal work camps, but he survived, and the sadness never went away. Now based in France, Panh has dedicated practically his entire filmography to telling the story of his once-unhappy homeland, in such films as S21: The Khmer Rouge Death Machine. 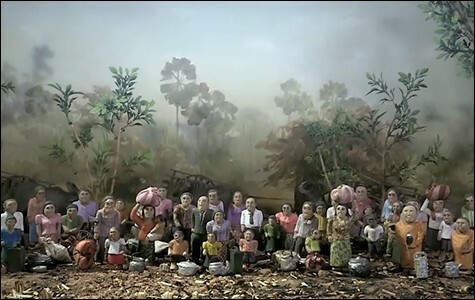 With his latest, the joint French-Cambodian production The Missing Picture, Panh employs a haunting combination of very rare period footage (most of it shot by the Khmer Rouge themselves for propaganda) and hundreds of handmade clay puppets, arranged in dioramas, to create a melancholy tone poem, a remembrance of what Cambodia lost. It's one of the most heart-breaking movies you'll see this year. The word "documentary" doesn't adequately describe it. 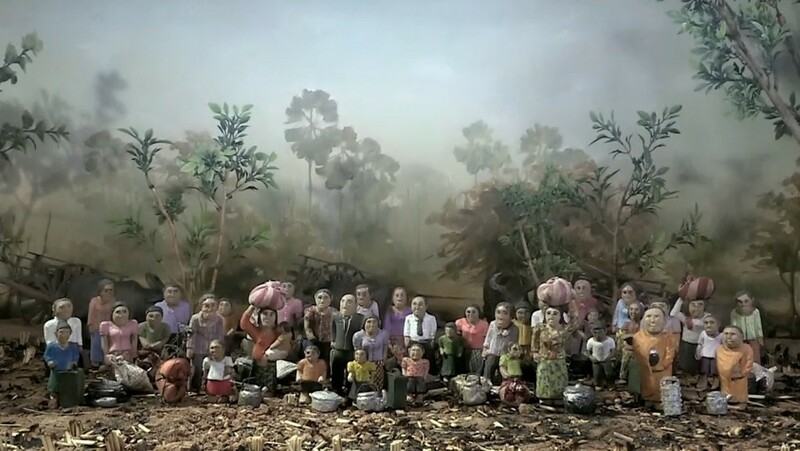 The old newsreels relate the "official" big picture according to the Khmer Rouge's revolutionary vision, and the figurines, infinitely more ironic, depict his family's everyday lives in the countryside. They spend the daylight hours laboring in the heat and their nights looking for food. Without the narration the dioramas at first seem almost idyllic, a tranquil picture of tropical farm life. And then we notice Angka's machine guns and the rice paddies full of bones. As for the propaganda footage — featured so damningly in Panh's previous films — it's long since notorious. The Khmer Rouge filmed child work crews. They also filmed executions. Did they expect audiences to watch this and sympathize with them? The voiceover sighs: "Those in Paris or elsewhere, who loved our slogans, who read books, did they see these pictures? Or were they missing?" Panh's narration, written with Christophe Bataille and voiced by Randal Douc, gently comments on the discrepancy between what we see and what happened to him: "With film too, the harvests are glorious. There is grain. There are the calm, determined faces. Like a painting. A poem. At last I see the revolution they so promised us. It exists only on film." But in the end it is Panh's film that prevails. The Missing Picture is not showing in any theaters in the area.